One of the NASA secretariat staff members Norman Magaya was rushed to the Karen Hospital last night after suffering a mild heart attack. Norman who was an agent of the opposition coalition at Bomas, was involved in an altercation with President Uhuru’s Personal Assistant, Jomo Gecaga and MP Kimani Ichungwa. He was rushed to the Karen Hospital after he started experiencing discomfort. Norman was found to be going through a heart attack. He is currently in a stable condition. NASA leader Raila Odinga visited him in the hospital. 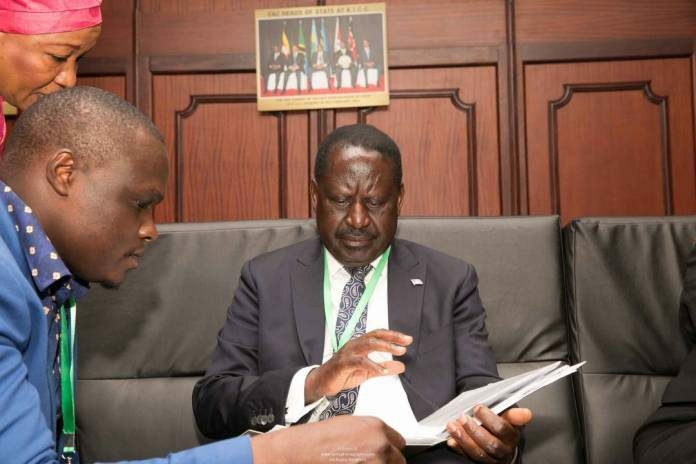 According to NASA communication team, they argued after IEBC CEO Ezra Chiloba attempted to eject the NASA team from Bomas. We have reached over to the government side to get a comment. We are yet to get any.